Jonathan Abrams recounts the saga of ‘The Wire’ in an oral history that delivers a chronological account of the show's genesis and its evolution. It's a book that is sure to delight ardent fans but might seem incomprehensible to readers who are not steeped in the series or its cast of memorable characters … Fans of ‘The Wire’ can spend hours debating the merits of their favorite characters. 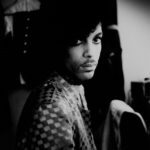 The book features incisive recollections by all of them, including drug lord Stringer Bell, stick-up man Omar Little, heroin addict and police informant Bubbles Cousins, and detectives Jimmy McNulty, Bunk Moreland and Kima Greggs. 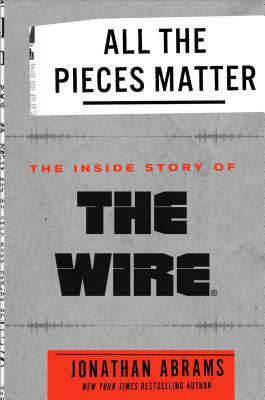 …[an] excellent oral history … All the Pieces Matter renders the making of ‘The Wire’ in enough rich detail to please even its most ardent fans … The picture that emerges is one in which ‘greatness’—the arc from pilot episode to best TV series of all time—is contingent on an almost infinite number of factors, from financial considerations and casting decisions to critical reception, timing and plain dumb luck … All the Pieces Matter offers a reminder that the very definition of ‘greatness’ is itself circumstantial, subject to shifting mores, changing tastes, industrial constraints, popular interests. ...a new book that’s the most serious attempt to contextualize the show as a Great One since its series finale … Abrams’ framing is not particularly revelatory. The show’s quality is presented as self-evident, recognized by every potential reader...Because the show imbued so many of its characters with specific humanity that’s surprisingly difficult to find in dramatic television, it is simply nice to hear from so many personalities, all of whom have taken the time to think about why this show was so worthwhile. What did you think of All the Pieces Matter: The Inside Story of The Wire?